this was a very normal question. how to SHOW every face at one click or any shortcut way to do this thing. it will take lots of time to click every face. 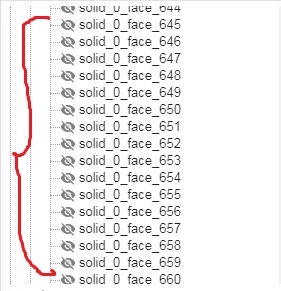 I just toggle the the visibility tab of the body whose these faces are part of and it hides and shows all the faces. Shift-select the top and then the bottom of the list that you want to toggle and then click the “Visible” check box below. That way you can keep the body hidden.